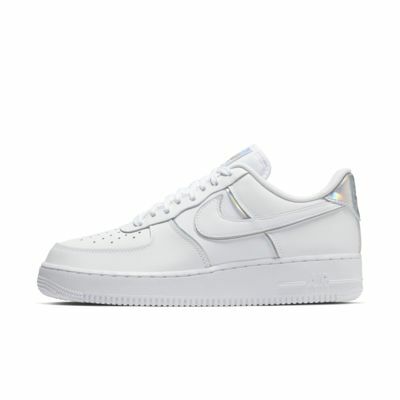 The Nike Air Force 1 '07 LV8 4 incorporates the same hoops-inspired performance features of the 1982 original, while adding details that reference a 2000s aesthetic. Iridescent hits throughout and a shiny back tab lend a Y2K vibe to this streetwear icon. 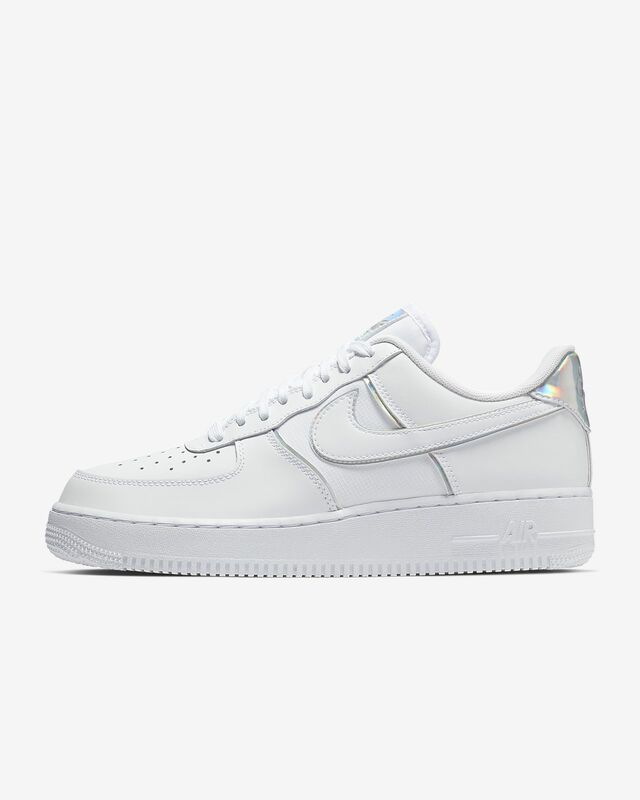 The Nike Air Force 1 &apos;07 LV8 4 incorporates the same hoops-inspired performance features of the 1982 original, while adding details that reference a 2000s aesthetic. Iridescent hits throughout and a shiny back tab lend a Y2K vibe to this streetwear icon. Leather, textile and synthetic upper features iridescent details throughout. Low-cut collar offers comfort around the ankle. Rubber outsole with a pivot circle gives traction and durability. Was looking to switch it up, more importantly get away from a rocker back shoe. I liked the solid back on this shoe and it is a solid shoe but just way to clunkey for me.